In this How-To, we will install a LAMP Stack on an Ubuntu 14.04 Cloud Server with PHP7. 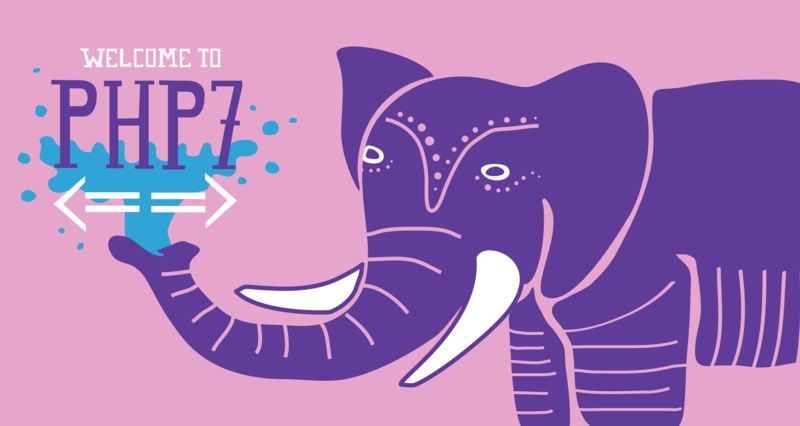 PHP7 should be released sometime in November 2015 and if you plan on adopting the new version, now is a great time to test your code. This guide will give you the option to install the Beta1 build or the newest nightly build of PHP7. If you’d like to learn more about PHP7, read our articles What is PHP7 – Breaking Changes from PHP5 and What is PHP7 – Performance Improvement. NOTE: PHP7 is still in development and should not be used in production environments until it is fully released. 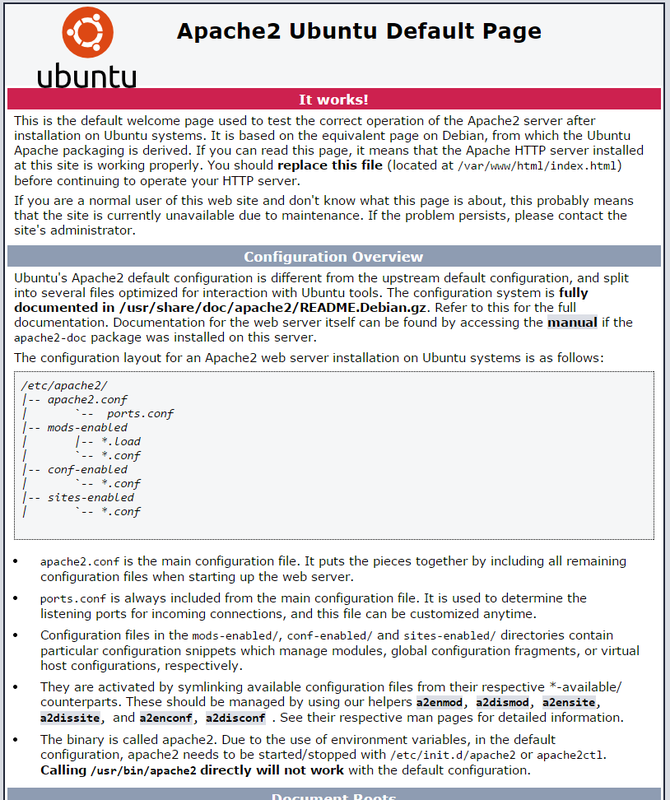 A server with Ubuntu 14.04 installed is required, which will take care of the Linux portion of the LAMP stack install. Hit enter to when it asks “Do you want to continue?” during the install. Hit enter when it asks “Do you want to continue?” during the install. During the install, it will prompt you to enter a MariaDB root password. Set any password that you would like. It should be a strong password. After you enter your MariaDB root password, you will need to re-enter it. We can now go ahead and install either the beta or the nightly release for PHP7. I would suggest the nightly release as it has fixed more bugs than the beta. Type Y and then hit Enter to continue. We now need to edit /etc/apache2/apache2.conf and add the following lines to the bottom of the file. Once added run the following command to enable the PHP mpm module and switch to mpm_prefork. To test out PHP7, we need to create a PHP file a named info.php in /var/www/html/ using your favorite editor and insert the following lines of code. Check the PHP version at the top of the page it should be 7.0 or higher. Congratulations! 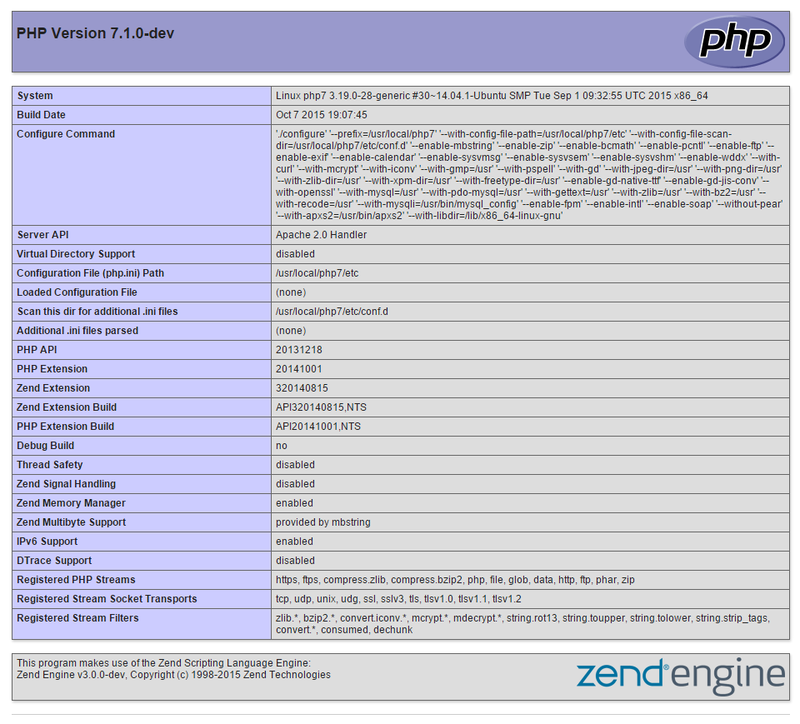 You have just installed PHP7 with LAMP on your Ubuntu 14.04 Server. Thank you for following this How-To, and please check back for more updates or learn more about our reliable HIPAA-compliant cloud storage hosting solutions.